The following article is being reposted from the now defunct BuzzingtonPost © 2006. The article originally appeared on November 6th, 2006. 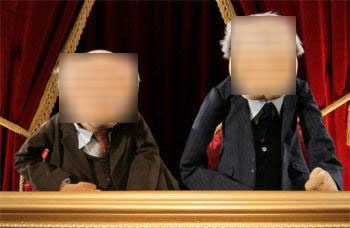 We’ve reprinted it here as a reference point and addendum to the recent interview Fozzie Bear had with us, regarding a different comedy controversy. You can read that interview HERE. Warning: The following article contains an ageist epithet and language of hate. Although censored for the majority of the article, we felt it necessary to include the initial said epithet for accuracy’s sake. 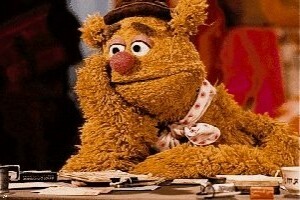 LOS ANGELES – Fozzie Bear exploded in anger as he performed at famous L.A. comedy club “The Comedy Store” Friday (10/27), hurling ageist epithets in a tirade that left the crowd gasping in shock, instead of laughter. Although it is only a matter of time before we obtain the video, we as of yet do not have video confirmation of the incident. For the first time in the evening, Fozzie looked towards his attackers, offering up a feeble “thanks guys, I knew you’d come around.” If only he knew the punchline to come, possibly this whole mess could have been avoided. 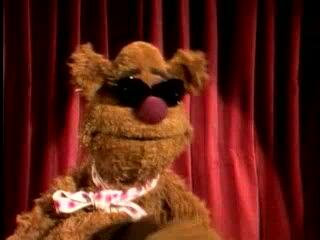 After the audience erupted in laughter supporting the two men, Fozzie began his attack. The crowd apparently and understandably became upset at this point, with a large portion confused and hopefully waiting for a punchline. The bear continued. The men, apparently caught off guard by the territory they suddenly found himself, shouted conflicting words. “Less, less!” said the other. “But did you like it?” Asked Waldorf. Attempts to reach Fozzie Bears’ reps were unsuccessful.